Vintage Vixen the 1950s style pinup girl: A retro girl's guide to life in high heels: Picture that with a Kodak. I am going to Miami for 22 months! Picture that with a Kodak. I am going to Miami for 22 months! I can't believe it is February already! Part of me wants to check to see if January is behind the sofa because I am not sure where it went! January is my first full month of outfits, so whilst I might not be sure where the time went at least I know what I was wearing. I wanted something that is comfortable and classic to ring in February and a contrast to yesterdays print. 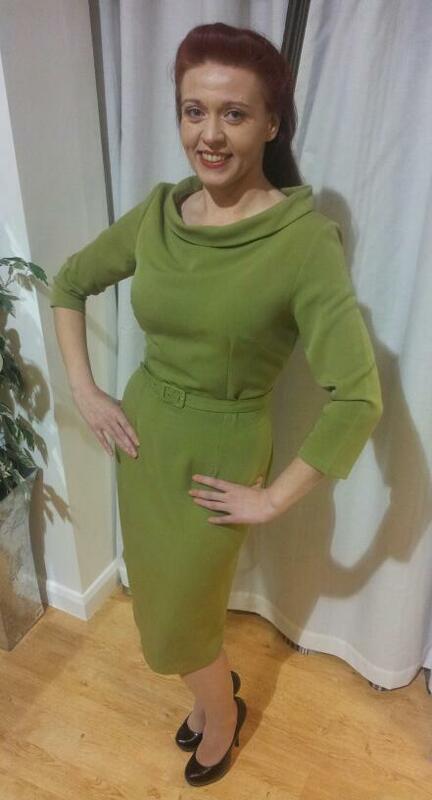 I opted for Joannie in Green. 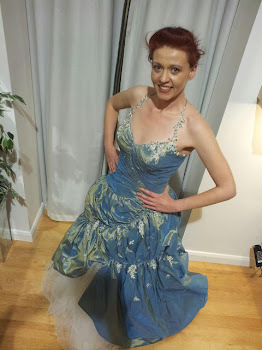 This dress has truly stood the test of time and the washing machine! I must have worn it well over 200 times. 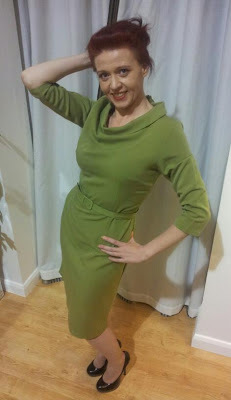 It is one of those go to dresses, the rolled over neckline is beautiful and I love the fit but it doesn't cling. It's like baby bears porridge just right. The matching belt just finishes this classic dress. I don't think this dress has a single fault and I always feel fantastic in it! This dress works hard for you making the most of your attributes so you don't have to, she looks great with your hair down or up. Joannie we love you in green! Just like the camera, Joannie is here to stay. Marv is starting to really get into the photography side of the blog (she does take the best pictures of me) so we are considering going 'old skool' and 'retro' and actually getting a camera rather than keep using the one on my phone. It is no good when you hit a creative wall because of technology. And tonight, let's enjoy life because we might not get tomorrow"
Yeah you don't want people spotting you in the monkey puzzle tree. They might throw coconuts or something!